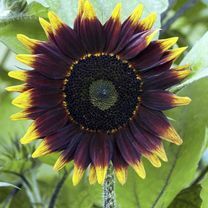 A really unusual and striking sunflower displaying large heads of flower in a fiery reddish-bronze with yellow tips and a dark brown centre. The rich green foliage contrasts well with the dramatic purplish stems. Height 2m (6½'). HA - Hardy annual. N.B. 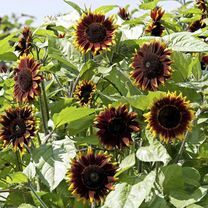 Seeds are edible and may also be ideal for ornamental use. A great source of seed for birds. 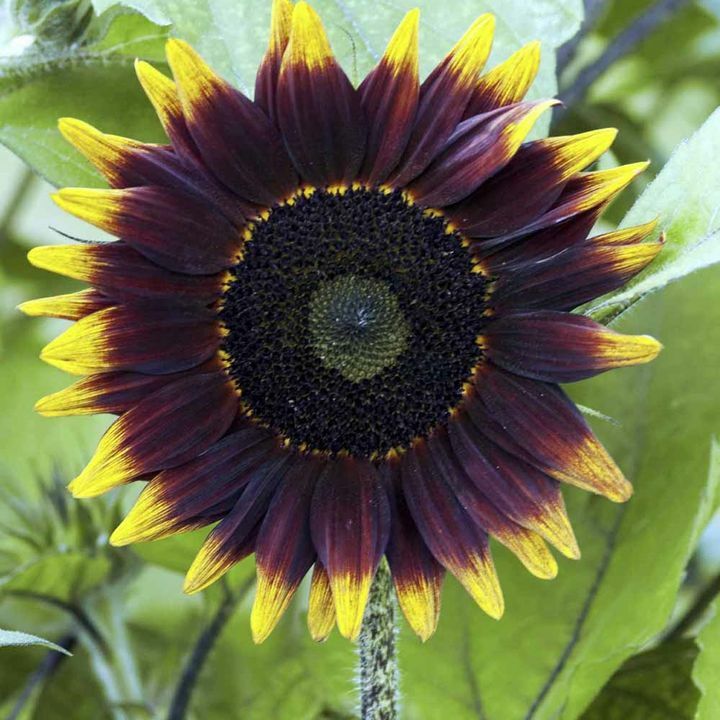 Spectacular flower colour - the best of its kind! Sow March-April under glass for early flowers, or outside April-May. Flowering July-October.